The first few weeks of having my blog have been a whirlwind of energy and excitement. I have received more traffic and feedback than I could have imagined. I wanted to keep the energy going and host a little launch party for my blog (okay so it was just an excuse to have a party and hang out with cool people). There was a lot more preparation for the party than I had thought. I had to organize the food, get balloons, make decorations, come up with things to do, and just lots of little tasks. It was a lot of work but definitely worth it in the end. One of the best things was having the opportunity to have local businesses be a part of the event. Little Tucker is one of my favourite companies in the city and I really wanted everyone to try one of her cakes! Laura is the face behind Little Tucker and all of her goods are vegan, gluten-free, raw and just all around good for you while still being so delicious. Laura believes having a healthy relationship with food is a relationship we all need to put first. Her goal is to provide real food that makes you feel good too. It can be hard to find food that suits those with complicated allergies, restrictions, and preferences. Not only that, it can be very hard to find real food for people that just want to eat wholesome, nourishing, plant-based, nutrient rich ingredients. Laura wants to cater to the needs of every person, whether it be because of their dairy allergy, or because they prefer to keep their sugar intake low. Little Tucker creates products that people can rely on to provide them with a high-quality, nutrient-dense snack or meal. She wants to introduce wholesome ingredients and superfoods into people’s every day diets in a non-intimidating and convenient way, while hopefully educating them on how amazing these ingredients - which they may have never heard of before - can make you feel. When I asked Laura why she keeps doing what she does she said: "I keep doing it because I absolutely love it. To be able to go to work everyday and do what you absolutely love doing, and then hear people say they also love it and are thankful for your creations, makes me feel so incredibly lucky." Another local company with amazing goods at the party was Baked from the Heart. Behind this company are two super sweet sisters who are also best friends! They love to make delicious treats that anyone and everyone can eat! They specialize in anything baked and all their goods are gluten-free, vegan, and so yummy. 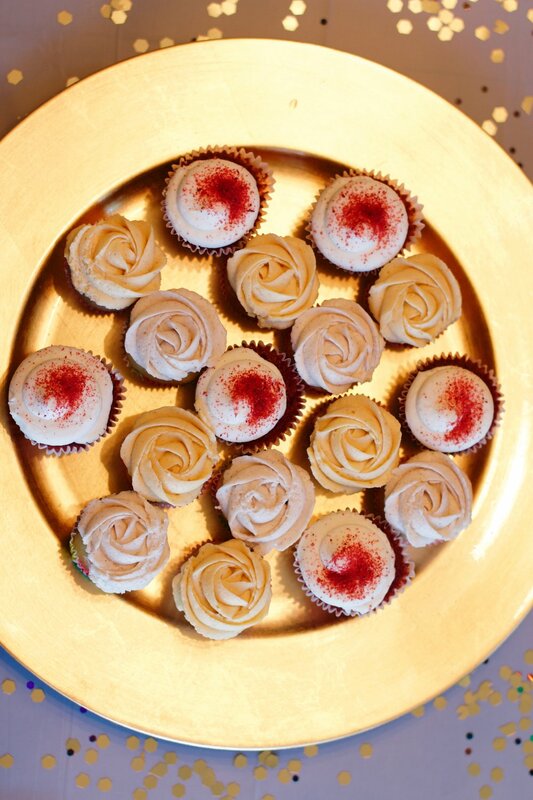 We were lucky enough to have some mini Pumpkin Spice and Apple Cinnamon cupcakes at the party! Sarah and Vanessa have always depended on each other and have always shared the desire to give back and to help out those in need. From volunteering at the local animal shelter, to brightening a loved ones day by making them a unique gift, their happiness lies in the wonderful sense of knowing that a difference has been made in someone's life, no matter how small. For years they've been longing to do something more, to do what they love and to make even more people happy. They are incredibly excited to bring that to you now with Baked from the Heart. Their dreams made tangible, by offering to you, their love in baked form. I also had the opportunity to do three giveaways this month thanks to some more amazing people! I am fortunate enough to have the best eyebrow artist, Laura Brows, who was kind enough to donate a gift certificate for a brow makeover. 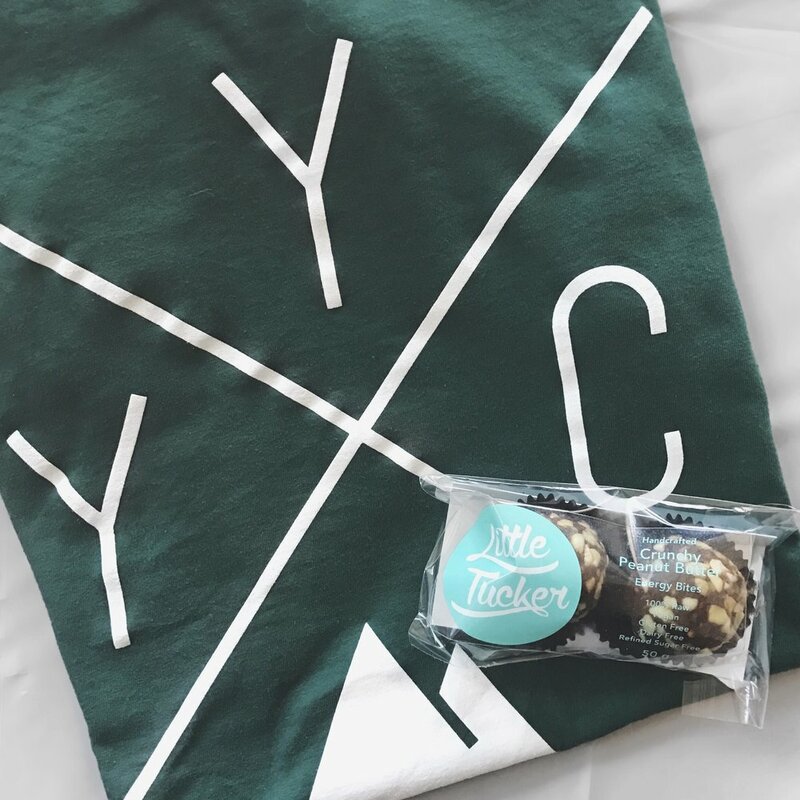 Another giveaway is a t-shirt from the fantastic Local Laundry, a company dedicated to building community and giving back to local charities. And my final giveaway was made possible by the fabulous ladies at Saturday Clothing. A custom clothing company with killer style!!! Go to my Instagram before Wednesday Oct 12 at 5pm to enter! 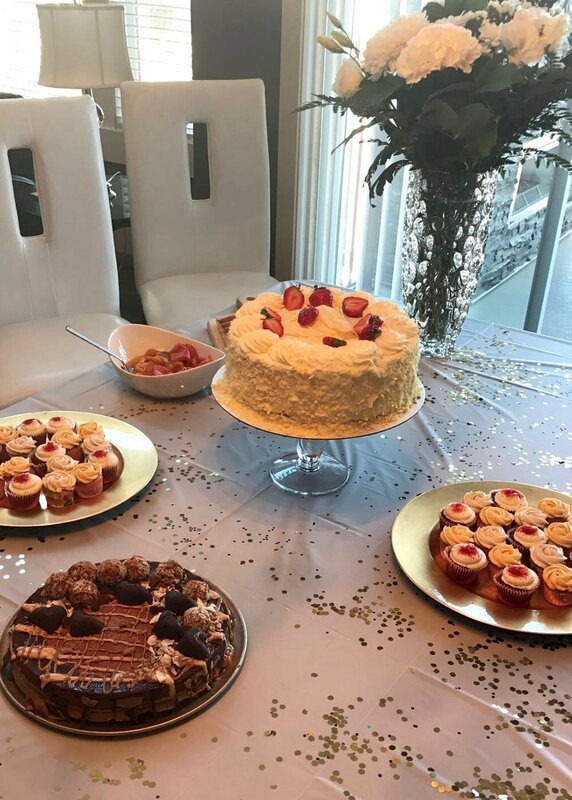 I want to give a big thanks to everyone that contributed, helped, and attended the party, and everyone that has supported my blogging journey so far! Heres a few more photos from the party.